Complimentary Continental breakfast for two daily at "1826 Restaurant"
Located in an enchanting artists' village nestled in the mountains north of Mexico City, Rosewood San Miguel de Allende has risen among the handsome colonial villas, cobblestone streets and church spires of central Mexico's oldest Colonial town. Cradled within the historical heart of downtown, this sanctuary presents 67 beautifully appointed guest rooms and 9 comfortable 4 or 5-Bedroom Private Residences, Sense - a Rosewood Spa, 1826 Restaurant, Luna Rooftop Tapas Bar, functional and comfortable event spaces, an outdoor amphitheater and other open spaces for memorable functions - intimate private dinners, al fresco receptions on the rooftop terrace with its unique view or garden cocktail parties are our specialty. Upon crossing its majestic entrance, the beauty of the building surprises each and every visitor, who are immediately transported back to the Colonial Spanish times. Limestone columns and arches lead to sumptuous open spaces, accented by water fountains and lush landscape, where art appears in various forms - paintings, sculptures or live performances of music. 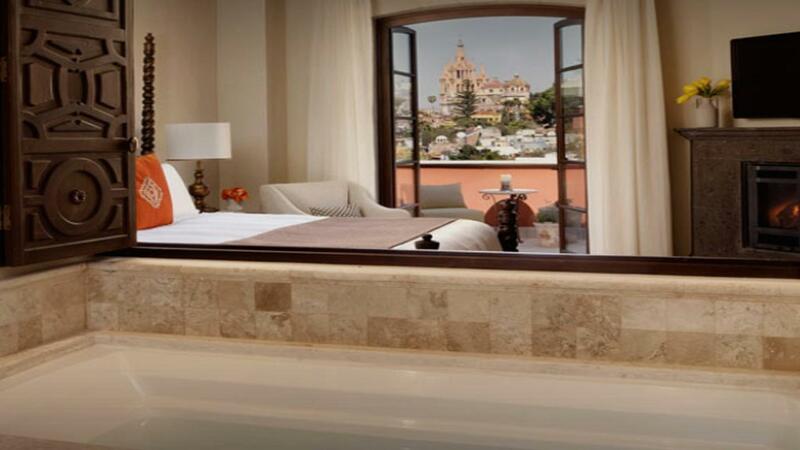 All 67 rooms, suites and 4 or 5-Bedroom Private Residences offer spacious living areas, wood-beamed ceilings, thoughtful appointments and furnishings of the finest Mexican craftsmanship. Ground-level rooms and suites are graced with a private terrace and garden while accommodations on the second and third floors offer private balconies with views of the picturesque downtown area - El Centro - the lush gardens or the resort's pool areas. 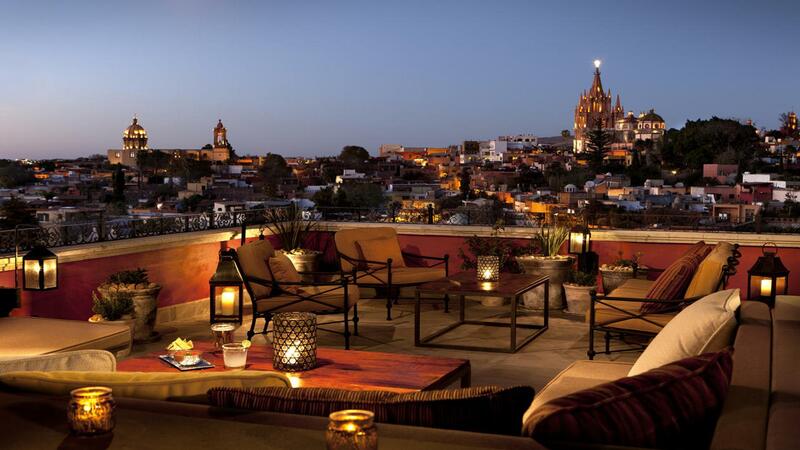 Whether working or relaxing, Rosewood San Miguel de Allende offers these amenities and attractions for you to enjoy; Contact your agent for more details.